Help every one of your associates better serve customers with the SB1 Smart Badge. 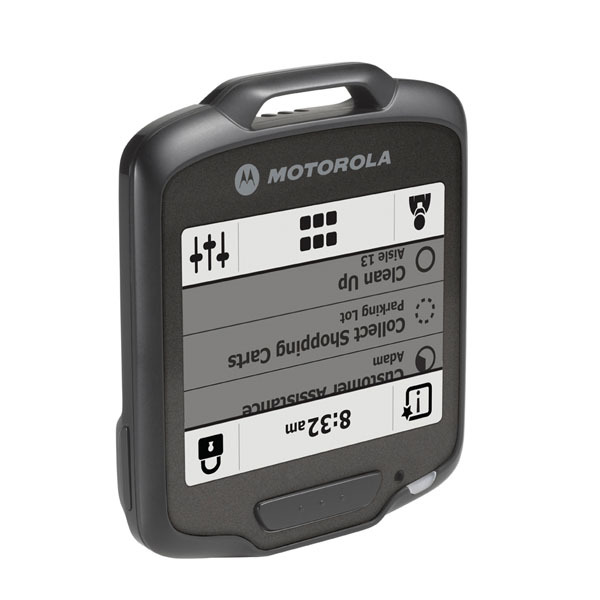 A brand-new category of mobile device, the SB1 is worn around the neck, on a belt or arm and not only allows shoppers to identify associates, but also enables associates to scan bar codes and to answer customer questions on price or inventory. And with a task management application, workers can access their own task list and supervisors can monitor task status — all in real time. The result? More productive associates ready to turn shoppers into buyers. The SB1 is a true enterprise product, built to handle everyday use, including drops, spills, exposure to dust, heat and cold. The three-inch E Ink Pearl display is easy to read in virtually every lighting condition. Finger-style navigation eliminates the need for a stylus and supports a gloved hand. Workers can simply log in at the start of a shift to access their personal task list and messages. Pick your color and add your logo to promote your brand and enable customers to instantly identify your associates. The SB1 supports HTML5 thin client applications where the data resides on servers instead of the device, simplifying application development and eliminating the risk of data theft if the device is lost or stolen.